An activist group with ties to conservative causes claims it will unveil secretly captured footage of Texas lawmakers behaving badly, confessing to a variety of indiscretions, engaging in inappropriate relationships with special interest lobbyists and possibly admitting to criminal behavior. An activist group with ties to conservative causes is promising to unveil secretly captured video footage that one group leader claims will show Texas lawmakers behaving badly, confessing to a variety of indiscretions, engaging in inappropriate relationships with special interest lobbyists and possibly admitting to criminal behavior. That’s the claim from a man who identified himself as John Beria, spokesman for the American Phoenix Foundation, a group whose founders are known for deploying undercover cameras and have been tied to controversial operations that targeted the liberal group ACORN and former U.S. Sen. Mary Landrieu, D-La. The former triggered complaints of smear tactics and selective editing. The latter sparked several arrests. Word of the group's secret recordings, first reported by the Houston Chronicle, sparked outrage among House Republicans — as well as concerns about their safety. 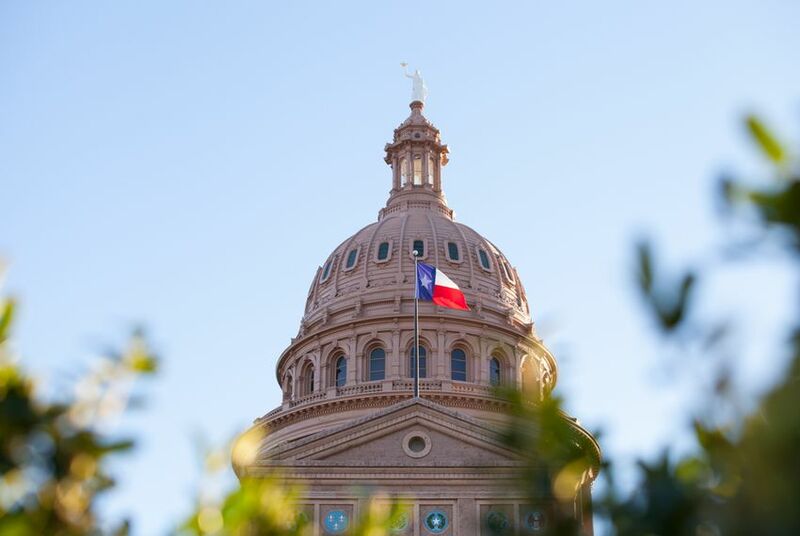 Beria said there was no ideological bias in its months-long undercover operation in Austin, and he said some of the most interesting findings center on conservative Republicans who act one way at home and quite another in the state capital. Beria declined to make any of the footage available or to name names, making it impossible to know if the claims are exaggerated or accurate. “Our lawyers think there are some admissions and there are some actions that would be criminal on the legislators’ part," he said. Using a variety of devices, including hidden cameras on lapels or just iPhones, the crew captured lawmakers making a series of "odd admissions." He said the first videos should be available for release sometime this summer. "It’s a whole variety of bad behavior," Beria said. The undercover operation had been sparking rumors and concern at the Capitol over several days as lawmakers began talking about being interviewed by a member of the crew. Democratic Rep. Armando Walle of Houston said he, too, was questioned — by a “gentleman wearing a leather hat” and was later told by House officials that he was part of the crew that had been “harassing” other members. Walle said the man asked him whether he supported toll roads and then quizzed him about gun rights before asking him if he paid his female staffers as much as he paid his male staffers. Some members of the group were detained last week after lawmakers complained. Beria said state police told them they were being stopped because they were "talking to lobbyists." "Actually we have that on video as well," he said. The run-in with DPS ultimately forced the group to discuss its project before releasing it. Beria said there's so much profanity on the footage that "there may be a parental advisory needed on some of the clips." He did not describe any specific activity that would rise to a crime but said some relationships between powerful legislators and lobbyists will raise troubling questions. The American Phoenix Foundation was founded by Joe Basel and his wife, Hannah Giles, who are no strangers to controversies over secretly obtained video. Basel pleaded guilty in 2010 for entering federal property under false pretenses after dressing up as a telephone repairman as part of a scheme to secretly gather video in offices of Landrieu of Louisiana, according to a U.S. Department of Justice press release. Giles, meanwhile, posed as a prostitute in a controversial 2009 uncover video that targeted the liberal group ACORN, portraying the community organizing nonprofit as being complicit in an illegal scheme to set up a prostitution ring. ACORN supporters accused the controversial lead filmmaker, James O'Keefe, of compiling a selectively edited smear. According to news reports, O'Keefe, paid a $100,000 settlement in 2013 to one of the ACORN workers who got fired over the incident, Juan Carlos Vera, saying in the agreement that he "regrets any pain suffered by Mr. Vera or his family." O'Keefe faced similar accusations of selective editing in the Texas governor's race, when his Project Veritas claimed to have footage showing supporters of Democrat Wendy Davis laughing about his disability. But the laughter appeared to be the work of selective editing; in the raw footage of the incident, there was no laughter. Contacted Tuesday, O'Keefe, who was arrested alongside Basel in the incident in Louisiana, said he had no involvement and no knowledge of the American Phoenix Foundation's new project. He said he hasn't worked with Joe Basel since 2010 and was caught off-guard by all the phone calls he's getting. Beria, the spokesman for Basel's group, said the plan was to release the video from Austin in vignettes, as opposed to a long documentary. *Clarification: Since publishing this story, The Texas Tribune has been unable to verify that John Beria is the real name of the person who identified himself as a spokesman for the American Phoenix Foundation.